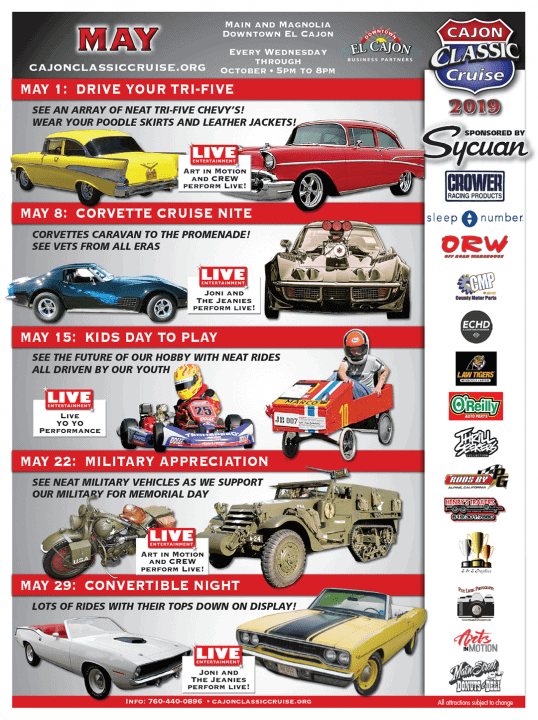 The Cajon Classic Cruise May 22, 2019, Military Appreciation Day is here! Every year, Downtown El Cajon sponsors the Cajon Classic Cruise Car Shows to delight thousands of car aficionados from all over the Western United States. Each year it gets bigger and better. Join us on this week on May 22, 2019, for Military Appreciation Day!